Got a listening class and not sure what to do? Maybe you’re thinking about adding a listening component to a conversation class. Teaching listening is simple, right? Hit the play button, sit back and let the students absorb the material. 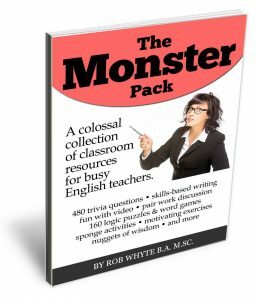 There are a variety of unique and enjoyable activities that teachers can run in an ESL classroom to help improve student listening fluency as well as their understanding of the language. Knowing how to push the start button is a good start, but there’s more to do. Here are 4 time tested, easy prep activities that help make the act of learning to listen enjoyable and useful. I call this group a framework because the activities can be used with many types of listening content. For example, they work well if you have a coursebook that comes with listening activities which you and your students find a little boring. Or, you can bring other listening content to the classroom and use these activities. This is a pre-listening activity. The purpose is to get students focused on the text, to a level beyond what they normal achieve with surface reading or skimming. Here’s my idea: the closer students get to the text in written form, the easier it will be understand in the spoken form. I suppose, you could say this activity promotes text mindfulness, to use today’s new age nomenclature. Here is how this lesson grabs student attention. Gather text that matches student level. A medium-length passage (with accompanying sound file) from your current textbook could work just fine. Students read text and circle unknown words. Define unknown words with whole class. Teacher gives students a mission: find a certain category of words, such as verbs, adverbs, whatever. Check answers with whole class and compile word list on board. Students listen to story without text. I grabbed (and tweaked) this idea from a video by Scott Thornbury. The video has many good activity ideas to help students play with a text. The lesson he describes in the video – dissecting a spam email message – is a good one. Some people believe extensive listening mixed with silent reading is a good way to learn English vocabulary and improve listening skills. This is sometimes called Reading While Listening (RWL). Some researchers say a successful RWL program needs lots of comprehensible input; something on the order of 5000 words per week. That might work well for a semester course with highly motivated students, but it’s not always practical, especially for teachers designing a short (i.e. one week) intensive class with mixed levels. I believe RWL is a useful activity in a classroom when combined with other skills-building techniques. In my context, here in South Korea, a good number of university students are motivated to learn over the course of a semester, but require variety in order to sustain interest and likability (and by extension, maintain good teacher evaluation scores). Here is how this listening lesson unfolds. Gather text and listening file that matches student level. Students read while listening to text. Students listen one more time to story, but without text. A 2013 study showed interesting results (Chang and Millet, 2014). It involved 113 low to intermediate level EFL university students. They were divided into three groups, each with a different teaching program: reading only, listening only and reading while listening. RWL recorded an average increase of 28% in three separate post-tests. Reading only had low improvements (3% to -6%). 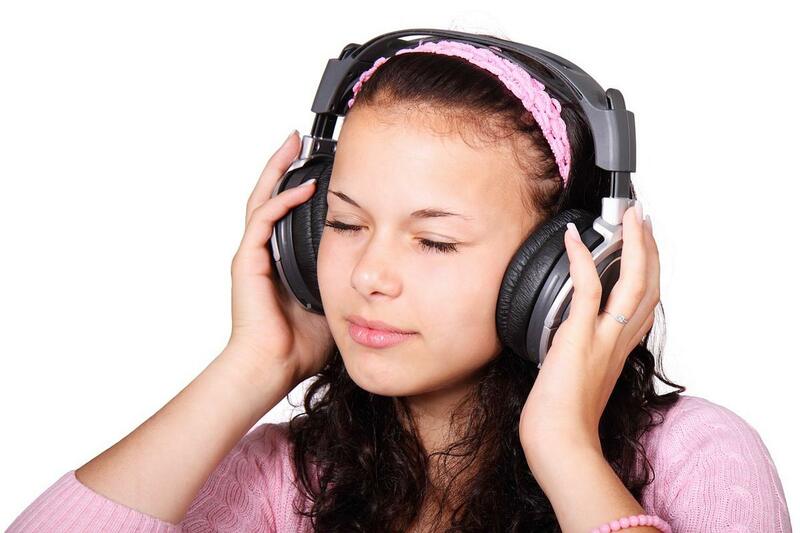 Listening only had post-test scores between 13% and 19% compared to the pre-test. This activity combines the intensity of taking notes with a structure that guides student attention, thereby making the exercise a little more manageable for low to intermediate students. Here is the listening lesson works. Prepare 2-4 short recorded stories. They might be segments from a current classroom textbook. Write a grid on the board with category names across the type, such as you see below. Preview story vocabulary, provide some story background, etc. Play listening segment 1-2 times. Allow students time to fill in blanks while listening. Listen 1-2 more times. Focus on details. Here are two short listening stories that could work well with this exercise. The stories are designed for high beginner students. In the next class, ask students to summarize their notes from a previous listening activity. They make answers for all of the key questions (e.g. who, what, where, etc). Next, replay the same listening file. Now you have a great review activity that uses repeated listening to reinforce and build listening skills. A staple activity that belongs in every teacher’s tool kit. 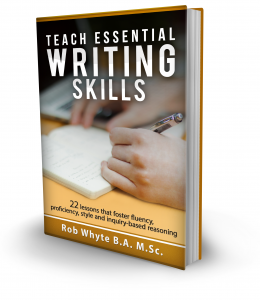 It’s skills- laden (good for students) and requires little prep time (awesome for teachers). Obtain a short text that matches student level in terms of vocabulary complexity. Story length varies with student level: 50 words for beginners and 200 words for high intermediate. Teacher reads text at normal speed. While listening, students do not write. After reading, give students 3-5 minutes to start compiling sentences. Teacher reads same text second time at normal speed. Students listen with no writing. 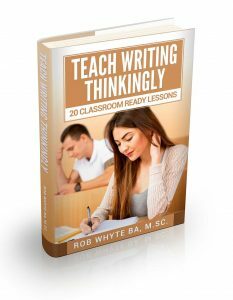 Allow 3-5 minutes of note taking after reading. Students work in small groups to reconstruct whole text from notes. One person in each group is the writer. When time is over, teacher gives students full text. Students self check for accuracy. That’s it for now. Enjoy the activities.